She Said Yes!™ Barbie® and Ken® Rekindle Their Epic Romance | Mattel Inc.
NEW YORK--(BUSINESS WIRE)-- Barbie® and Ken® announced today that they are officially a couple again, after shocking the world in 2004 with their unexpected decision to spend time apart. Barbie® finally "said yes" on the most romantic day of the year, making Ken® her boyfriend once again. Barbie® and Ken® dolls' love story is one for the ages — complete with headline grabbing breakups, trendsetting styles and a love that has endured nearly five decades. Always a reflection of the times, over the past month, their complex romance has played out on Facebook and Twitter with Ken® posting about his romantic gestures to prove that even though he is plastic, his love is real. Early this morning, Barbie® officially changed her status on Facebook to "in a relationship" and the couple even merged their Facebook pages (www.facebook.com/barbie). "Barbie and Ken have an epic love story that has stood the test of time," said Stephanie Cota, Senior Vice President Global Marketing, Girls Brands. "As the ultimate boyfriend for every occasion, Ken knew just what to do to win Barbie back. The iconic couple is truly made for each other and this is just the beginning of their next chapter together." To celebrate their rekindled romance, Barbie® and Ken® dolls appear together in a limited edition "Together Again" gift set. Ready for a romantic date in Malibu, the "Together Again" gift set features the "it" couple sporting sun-kissed tans and modern fashions inspired by their original 1959 and 1961 swimsuits. Barbie® doll is fashionable in a black and white one-piece swimsuit, sunglasses and sandals in her signature color, pink. Ken® is dressed in red board shorts and comes with a yellow towel and sandals. For a limited time only, the "Together Again" Gift Set will be available for just $5. It started in the spring of 1961. Ken® was new on the scene and love was in the air. Immediately thrust into the spotlight as America's fashionable power couple, Barbie® and Ken® have a timeless love story. Through it all, they have reflected the best (and sometimes worst) of pop culture — sporting each decades' trendiest fashions and hairstyles, plus launching careers that inspired generations of fans. During the '70s, the couple stepped out together with the grooviest hairstyles of the decade as Quick Curl™ Barbie® doll and Superstar Ken® doll. One of their most instantly recognizable looks, Sun Lovin™ Malibu Barbie® and Sun Lovin™ Malibu Ken® made sun-kissed tans all the rage. Throughout the '80s, the couple continued to set trends with their big hair and flashy style as Dream Date™ Barbie® doll and Dream Date™ Ken® doll. They then concentrated on their acting and professional careers throughout the '90s, starring in 10 movies together and also tried new roles as Olympians, pilots and dancers — never losing sight of their adoration for each other. It wasn't until the new millennium that it would all change for Ken®. On Valentine's Day 2004, after more than 43 years together, Hollywood's quintessential couple decided to spend time apart. Creating a worldwide sensation, Barbie® began dating Blaine®, an Australian surfer who charmed his way into her heart. However, proving that true love stays in your heart forever, Ken® made a play to get Barbie® back in 2006. 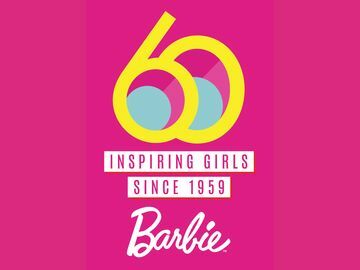 He enlisted the help of celebrity stylist, Phillip Bloch to impress Barbie® with a "Hollywood makeover." Although Ken® scored big points with Barbie® for the effort and new look, the two dolls remained just friends. After several low key, behind-the-scenes years, Ken® decided it was time to step out in a big way in 2010 — finding his voice in pop culture in a critically acclaimed self-portrait role in Toy Story 3, and through a social media frenzy on Facebook, Twitter and Foursquare, in addition to an all-new digital reality series, "Genuine Ken™: The Search for the Great American Boyfriend." With all of the hype, newfound fame and attention, he made sure that one pair of baby blues was watching him. To see more about their love story and the world's reactions to their reunion, go to www.barbieandken.com. MEDIA NOTE: FOR PHOTOS, B-ROLL OR ANY OTHER INFO ABOUT BARBIE® AND KEN® DOLLS' REUNION, PLEASE VISIT WWW.BARBIEMEDIA.COM. BARBIE, KEN and associated trademarks and trade dress are owned by Mattel, Inc. © 2011 Mattel, Inc. All Rights Reserved. Mattel, Inc. (NASDAQ:MAT - News) (www.mattel.com) is the worldwide leader in the design, manufacture and marketing of toys and family products. The Mattel family is comprised of such best-selling brands as Barbie®, the most popular fashion doll ever introduced, Hot Wheels®, Matchbox®, American Girl®, Radica® and Tyco® R/C, as well as Fisher-Price® brands, including Little People®, Power Wheels® and a wide array of entertainment-inspired toy lines. In 2011, Mattel was named as one of FORTUNE Magazine's "100 Best Companies to Work For" for the fourth year in a row. Mattel also is ranked among Corporate Responsibility Magazine's "100 Best Corporate Citizens" and the "World's Most Ethical Companies." With worldwide headquarters in El Segundo, Calif., Mattel employs approximately 27,000 people in 43 countries and territories and sells products in more than 150 nations. 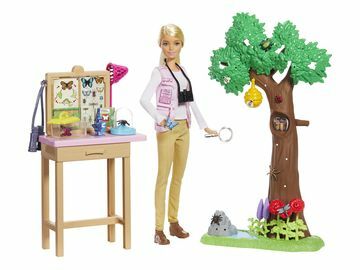 At Mattel, we are "Creating the Future of Play."